A 76-year-old farmer from Sagada, Mountain Province impressed her interviewer with her superb English speaking skills in a video that made the rounds on Facebook. In the video's caption, digital content creators FYT said they were amazed by the spoken English ability of the grandma, who was not able to finish elementary school. 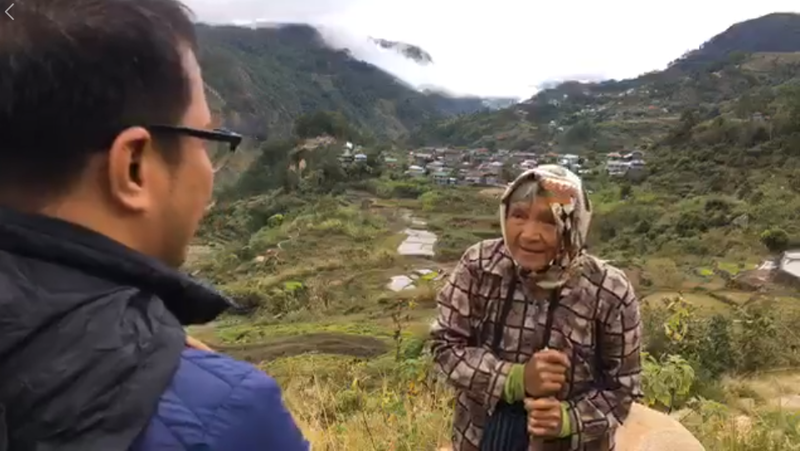 "Nosebleed kami habang ini-interview si Lola Erlinda Doyog, 76 years old, ng Pidlisan tribe sa Sagada, Mountain Province. Hindi raw siya nakapagtapos ng elementarya pero legit siyang Englisera," FYT wrote. Lola Erlinda might have learned English from the American missionaries who established a mission compound in Sagada in the early 1900's. It is reportedly common to meet elderly locals who speak very fluent English in the area, which often surprises tourists as Sagada is considered remote in the context of the Philippines. Watch Lola Erlinda's interview below where she proudly talked about her village and the indigenous practices of her tribe. A few people like you lola, fluently speak English language, mabuhay ka lola..